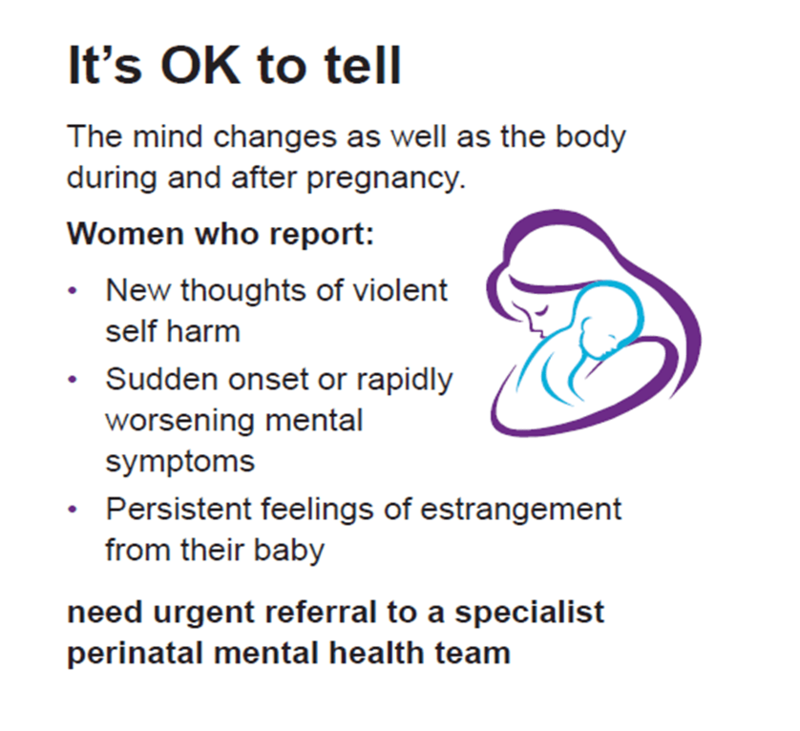 The latest Confidential Enquiry into Maternal Death (2015) report has been published and, while it shows an overall decrease in the rate of maternal death, it has highlighted some key issues relating to perinatal mental health. For those who may not be familiar with this process and the reports that it produces, “The UK Confidential Enquiry into Maternal Deaths (CEMD) has represented a gold standard internationally for detailed investigation and improvement in maternity care for over 60 years. It recognises the importance of learning from every woman’s death, during or after pregnancy, not only for the staff and services involved in caring for her, but for the family and friends she leaves behind. This, the second of the Confidential Enquiry into Maternal Deaths annual reports produced by the MBRRACE-UK collaboration, includes data on surveillance of maternal deaths between 2011 and 2013. It also includes Confidential Enquiries for women who died between 2009 and 2013 focusing on lessons on maternal mental health and substance abuse, thrombosis and thromboembolism, caring for women with cancer in pregnancy or postpartum, homicide and domestic abuse, and improvements identified from investigation of the care of women who died between six weeks and one year after the end of pregnancy. In collaboration with MDE Ireland, the report also includes Confidential Enquiries into the deaths of women from these causes in Ireland. Each topic-specific Confidential Enquiry chapter now appears in an annual report once every three years on a cyclical basis. Surveillance information is included for 575 women who died during or up to one year after the end of pregnancy between 2011 and 2013. The care of 248 women was reviewed in depth for the Confidential Enquiry chapters.” (Knight et al 2015). All of the versions of this report (including an infographic) can be downloaded free from the NPEU website. Knight M, Tuffnell D, Kenyon S et al (2015). Saving Lives, Improving Mothers’ Care. Surveillance of maternal deaths in the UK 2011-13 and lessons learned to inform maternity care from the UK and Ireland Confidential Enquiries into Maternal Deaths and Morbidity 2009-13. Oxford: National Perinatal Epidemiology Unit, University of Oxford. ← The most important thing women can do for themselves in the quest for a normal birth?